This week Google and the Comparative Constitutions Project launched Constitute, which puts constitutions online for people everywhere to explore. Constitute includes 177 constitutions, many of which weren’t online previously. Each country’s constitution is tagged for easier navigation, marking such attributes as citizenship, foreign policy, and electoral oversight. Having them all online together, tagged and searchable, enables unprecedented research. For example, you can quickly see which countries grant rights to minorities, and even how each country defines a minority. You can also watch the progress of trends such as marriage equality and voting rights. With dozens of new and amended constitutions in the world each year, Constitute can become a central source for exploring what’s new and for helping drafters of future constitutions think about how to proceed with their work. Constitutions have been around for thousands of years, but a discovery in the Yukon earlier this year revealed something far older: dinosaur tracks. Dozens of fossilized dinosaur footprints were found by scientists from the University of Alaska on an expedition near the Arctic Circle. According to researcher Paul McCarthy, “The tracks were so abundant along the Yukon River that we could find and collect as many as 50 specimens in as little as 10 minutes”. That’s a lot of footprints made by a lot of big feet. 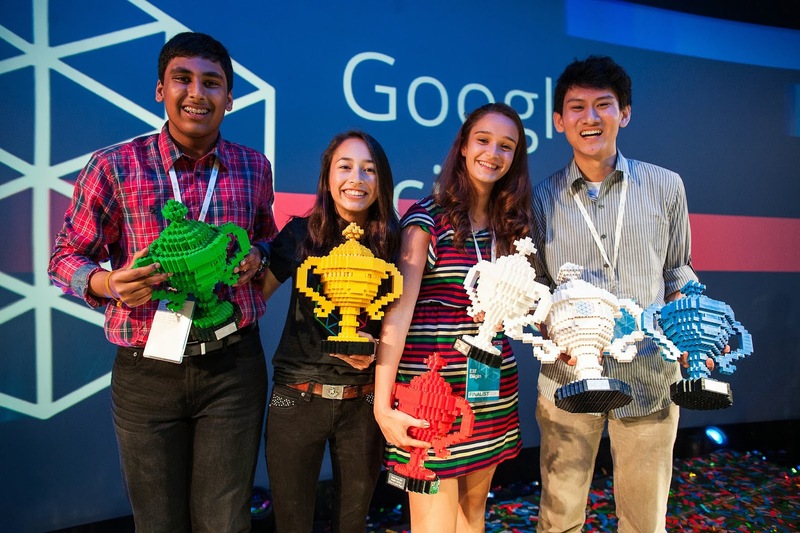 Finally, we congratulate the winners and participants in this year’s Google Science Fair. First place went to Eric Chen, who studied ways to fight the spread of flu. 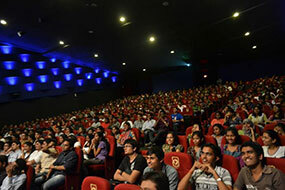 Other winners included Vinay Kumar, Ann Makosinski, and Elif Bilgin. But we think the best part is the cool Lego trophy each winner gets to take home. All we are is dust in the wind, or tracks in the Yukon, or something similarly temporary. But while we’re here, there’s Fridaygram to bring some fun nerdy news for your weekend. Thanks to our Yukon correspondent +Louis Gray for the dinosaur tip. Last week Felipe and Michael from the Google Cloud Platform Developer Relations team released a video demonstrating the new Pearson correlation analysis available in Google BigQuery. Their example used more than 70 million flight records to find correlations on departure times, which could be used to predict whether your plane would be late. Specifically, you can find out which set of airports best predict your airport’s possible flight delays the following day. As you can see from their code (watch the video for context), they’re using iPython Notebook to work with the BigQuery results, and matplotlib to get a quick visual of results. But one aspect that’s hard to see in these results is the spatial relationship of the airports. Maps to the rescue! To create this map, using the same code noted above, we first created a JSON dump of the correlations on departure time for each airport to each other airport. Then, using an article on visualizing earthquakes as a template, I modified the code so that we have a simple dictionary of all airports, keyed by their airport id. Last but not least, I added a function that gets called when an airport marker is clicked in order to restyle all the other airport markers according to their correlation. This method checks the selected season (winter, for example, has different correlations than spring), and highlights correlated markers by setting the color and scale of the circle symbol. Thanks to BigQuery, running complex correlations over billions or trillions of attributes is surprisingly easy. But don’t forget if your data does have some spatial component, a quick mapping visual can add some great context to your results. Josh Livni works with maps at Google, where he helps developers tell compelling stories using the Google Maps APIs. As you read this, he's probably writing code, thinking about snowboarding, or both. Regular Fridaygram readers know that Street View goes places even if there aren’t any streets, like the Galapagos Islands. This week we launched the panoramic images collected earlier this year with the Street View Trekker, and they’re pretty cool. As we mentioned back in May, we also used an underwater camera to collect images of marine life in the waters off the Galapagos. Between the land and the sea, we collected pictures of blue-footed boobies, Magnificent Frigatebirds, and other island creatures. These images will help with Galapagos environmental research. If you’re interested, you can read more about it. Speaking of the wonders of nature, researchers have used high-speed video cameras to record insects with natural gears that mesh to enable movement. Scientists Malcolm Burrows and Gregory Sutton of the University of Cambridge found that young planthoppers have microscopic gear teeth that synchronize their legs when they jump. Their legs move within 30 millionths of a second of each other, ensuring that their jumping is effective. As the insects mature, they lose these baby teeth and learn to jump without them. Finally, last Wednesday’s Google Doodle honored the birthday of legendary physicist Léon Foucault, namesake of the Foucault pendulum, which shows the effect of the Earth’s rotation. The doodle itself is a working Foucault pendulum, complete with controls to change its time and location. We hope it inspires you to do some weekend inventing and adventuring of your own. The world keeps turning, and Fridaygram keeps publishing. Look us up for nerdy cool news right before you start your weekend. And for still more amazing Galapagos stuff, see Darwin for a Day, built by the Charles Darwin Foundation and iNaturalist using the Street View API. Google BigQuery is designed to make it easy to analyze large amounts of data quickly. This year we've seen great updates: big scale JOINs and GROUP BYs, unlimited result sizes, smarter functions, bigger quotas, as well as multiple improvements to the web UI. Today we've gone even further, announcing several updates that give BigQuery the ability to work in real-time, query subsets of the latest data, more functions and browser tool improvements. BigQuery is now able to load and analyze data in real time through a simple API call, the new tabledata().insertAll() endpoint. This enables you to store data as it comes in, rather than building and maintaining systems just to cache and upload in batches. The best part? The new data is available for querying instantaneously. This feature is great for time sensitive use cases like log analysis and alerts generation. Using it is as easy as calling the new endpoint with your data in a JSON object (with a single row or multiple rows of data). Streaming data into BigQuery is free for an introductory period until January 1st, 2014. After that it will be billed at a flat rate of 1 cent per 10,000 rows inserted. The traditional jobs().insert() method will continue to be free. When choosing which import method to use, check for the one that best matches your use case. 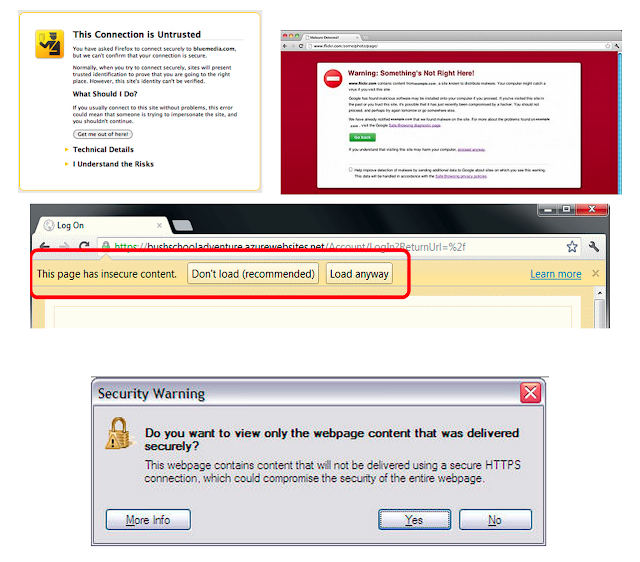 Keep using the jobs().insert() endpoint for bulk and big data loading. Switch to the new tabledata().insertAll() endpoint if your use case calls for a constantly and instantly updating stream of data. This release introduces a new syntax for "table decorators". Now you can define queries that only scan a range or spot in the previous 24 hours. Traditionally BigQuery has always done a "full column scan" when querying data, while the new syntax will allow you to focus only on a specific subset of the latest data. Querying a partial subset of data with these decorators will result in lower querying costs — proportional to the size of the subset of the queried data. With the new capabilities you can query only the last hour of inserted data, or query only what was inserted before that hour, or get a snapshot of the table at a specific time. The table decorators also work in all table related operations (list, export, copy, and so on), giving you the ability to do operations like copying a table as it was before a bad import job. To the previously announced window functions, we've added SUM(), COUNT(), AVG(), MIN(), MAX(), FIRST_VALUE, and LAST_VALUE(). Refer to the previous release announcement for a run through of how window functions work. We also recently introduced the new Pearson correlation function, and showed how to find interesting and anomalous patterns in ambient sensors, or how to predict tomorrow's flight delays using 70 million flights dataset. Today's release adds new statistical functions, for even richer capabilities: COVAR_POP(), COVAR_SAMP(), STDDEV_POP(), STDDEV_SAMP(), VAR_POP() and VAR_SAMP(). You can now query your history faster in the browser tool using the Query History panel: More information about the queries is being surfaced and convenient buttons have been added for common tasks. You can try out the new UI features, table decorators, and new functions at https://bigquery.cloud.google.com/. You can post questions and get quick answers about BigQuery usage and development on Stack Overflow. We love your feedback and comments. Join the discussion on +Google Cloud Platform using the hashtag #BigQuery. This week's Map of the Week post from the Geo team features Adam Ratana's Sun Surveyor app, which allows photographers, gardeners and builders to visualize sun and moon paths over locations around the world. The Sun Surveyor app has both Map and Augmented Reality views, which not only let you see the sun and moon paths over satellite imagery, but also via your phone's camera, while you're onsite at the shoot. Adam's users requested the ability to visualize the sun and moon paths on top of Street View panoramas, which would give them a better IRL (in real life) approximation of lighting for their photo shoots. When Street View launched in the Google Maps SDK for iOS, Adam did just that, bringing the feature to life for users in just a weekend. Check out Adam's post on the Geo Developers Blog for code snippets and details on the sample project. And in the meantime, enjoy following the sun and moon to distant locations in Sun Surveyor. Adam Ratana is a Carnegie Mellon University graduate living in, and loving, Pittsburgh, PA. He produces dance music as a member of Pittsburgh Track Authority, enjoys photography, traveling with his wife, and writing fun software in his free time. Adam also enjoys attending the Pittsburgh Cocoaheads chapter meetings. Sun Surveyor visualizes the sun and moon in a variety of ways for photographers, filmmakers, solar industry professionals, architects, homebuyers, gardeners, and anyone needing to predict or understand the movement of the sun and moon. We normally talk about cool and nerdy things on Fridaygram, but today we're focused on just the "cool" bit. The Clash exploded onto the stage in the late 1970s in the UK. Led by Joe Strummer, The Clash were popular, successful, and influential. They were often billed as “The only band that matters”. We’re talking about The Clash right now because Google Play has just released a five-part documentary on the band, which you can watch on YouTube. This documentary series shows the band at work during the recording and release of its albums, including hours of previously unreleased footage of Joe Strummer talking about the band. If you already love The Clash, you’ll enjoy learning about their backstory, and if you’re not familiar with them, here’s your chance to see what’s up. Finally, we’ve added some cool new features to Google search that you might want to spend some time checking out. Search can now answer questions about your stuff. For example, if you ask “What’s my flight status?”, you’ll get a personal result that shows you whether your plane is on time. You can also ask about your dining reservations, hotels (“When is my next hotel stay?”), packages, calendar events (“When is They Might Be Giants?”), and photos (“my photos from Austria last year”). For extra awesomeness, try this feature with voice search in Chrome, Android, or the Google Search app on iOS. Have fun! Voyager 1 has left us behind (or has it? ), but Fridaygram is still here for you. If it’s nerdy, cool, or nerdy cool, it’s fair game for us. I wrote my first two lines of BASIC as a five year old, and I’ve loved programming ever since. These days I’m teaching my own kids to code, and I’ve been thinking a lot about how they could have that same simple experience while learning to program for the web. We thought about all the stuff we could do to make Coder a more complete package, but we have a hunch that the sooner this gets into the open source and maker communities, the more we’ll learn about how it might be used. Hopefully, a few more folks will pitch in and help us make this even more accessible and helpful for new coders. To learn more, visit goo.gl/coder, get a Pi, download Coder, and make something awesome. +Jason Striegel tinkers, builds, and experiments with cool web stuff at Google Creative Lab. With Google Cloud Platform, you can now get your hands on technologies that help power our infrastructure, and use it to power your own software. In order to help everyone get more comfortable using Cloud Platform, we are hosting five events for developers to meet Cloud Platform senior leadership, learn to code on our stack of products, participate in code labs, and ask questions of our engineering team. Each stop has two days dedicated to developers. Day 1 offers a series of talks explaining why you would want to use Cloud Platform and how to build apps on it. Day 2 consists of three code labs which provide participants with an opportunity for hands-on learning using our lab setup. To help each participant get the most out of their newly-gained knowledge, every attendee will receive a startup pack equivalent to $2,000 USD in Cloud Platform credits. Pre-register soon, because space is limited and we expect the seats to fill fast. We will confirm your registration as soon as we can, but no later than two weeks prior to each event. Alex Maier’s goal in life is to grow the Google Cloud Platform community stronger and more vibrant every day. She loves discoveries, science, and racing cars. Eve Andersson is a manager in Accessibility Engineering, within the Google Research organization. She enjoys travel, wine, and the number pi. Starting today, the Picker API is available via the APIs Console. For those of you who are already using the API, this change makes it easier to manage and view traffic and authentication data alongside any other Google APIs that you may be using with your application. // The API developer key obtained from the Google APIs Console. // Use the API Loader script to load google.picker. See the Developer’s Guide for more details. Kuntal Loya has been making the Google Picker smarter while enjoying Bangalore’s weather and the food at the Google Café. Meanwhile, she’s nearing the end of Mahasamar, Narendra Kohli’s 8-volume re-telling of the Mahabharata. Google Cloud Platform is used around the world to create and deploy solutions that are affordable, scalable and easy to maintain. These qualities empower developers worldwide to solve local and global challenges with cloud technology . 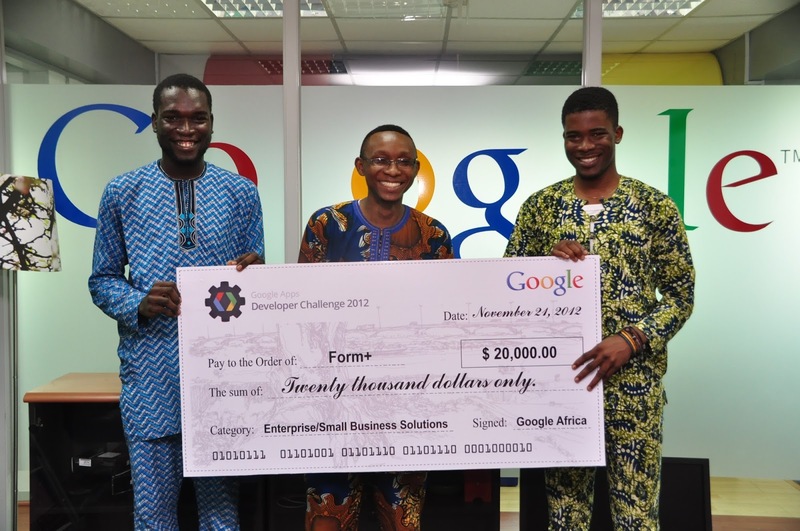 This sets the stage for the very first Google Cloud Platform Developer Challenge. We're inviting you to build locally relevant web applications that solve real world problems. You will have the opportunity to wow the world with your awesome web application built on Google App Engine using Google APIs like the Google+, YouTube and Maps APIs. We will be working in tandem with Google Developer Groups (GDGs), Google Business Groups and Google Student Ambassadors to put up and organize events around the challenge. Ensure you connect with your local communities for more information about these meetups. Do you want to start hacking out a cloud based web app now and you need pointers and hints? If yes, then the Google App Engine tutorial is a good place to start. If your application is judged the best in your region, within one of the two categories mentioned above, you could win a prize of $20,000! We are devoted to raising the next generation of information technology experts as well as encouraging diversity among software developers. In line with this, we have special prizes for all-female teams. Any all-female all-student teams that make the second round will receive a prize of $3,000. There are also prizes available for those who are interested in mentoring contestants. Please read through the terms and conditions on the Google Cloud Platform Developer Challenge page and follow the hashtag #gcdc on Google+ for any additional updates. What are you waiting for? Register your app URL, apply for $2,000 worth of Google Cloud Platform credit at cloud.google.com/starterpack using the promo code gcpdc-in, and start hacking with Google Cloud Platform. +Chukwuemeka Afigbo is a Program Manager in the Sub-Saharan Africa Outreach Team. He is passionate about making the internet more relevant to Africans. He is also an avid football (soccer) fan. 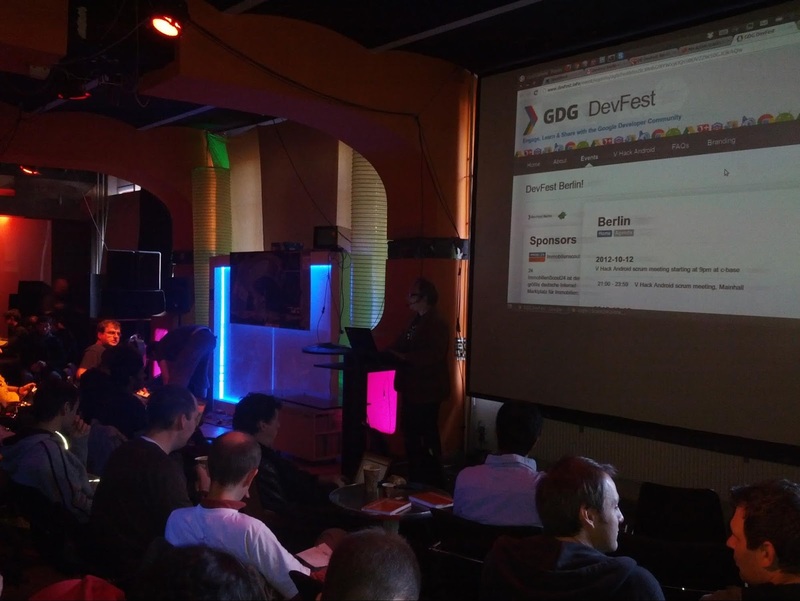 Last year was the first time the Google Developer Group (GDG) community hosted a series of DevFests globally, and what an awesome DevFest season it was! 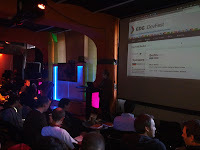 There were 77 DevFests across 41 countries reaching over 14,000 developers. Inspired by the success of last year's DevFests, we are working with GDGs around the world to enable an even larger set of events this year. 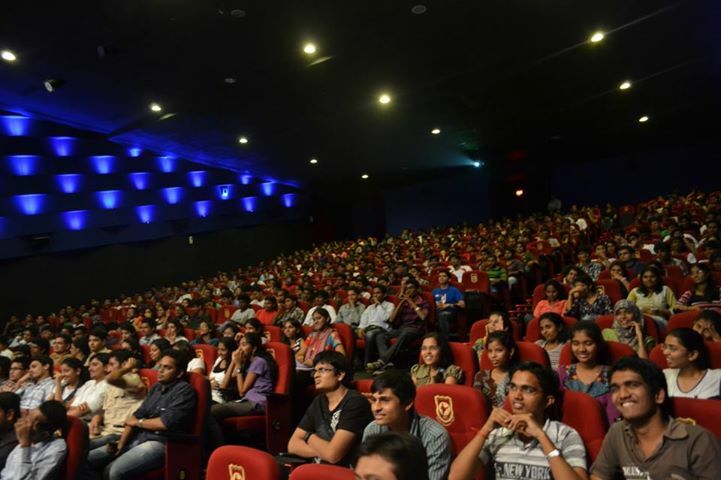 13th Sep. - 29th Sep.
18th Oct. - 10th Nov.
Across both seasons, GDGs plan to host more than 160 DevFests spread over 63 countries that are expected to reach over 30,000 developers. More than 20 countries will have their first-ever DevFest this year! 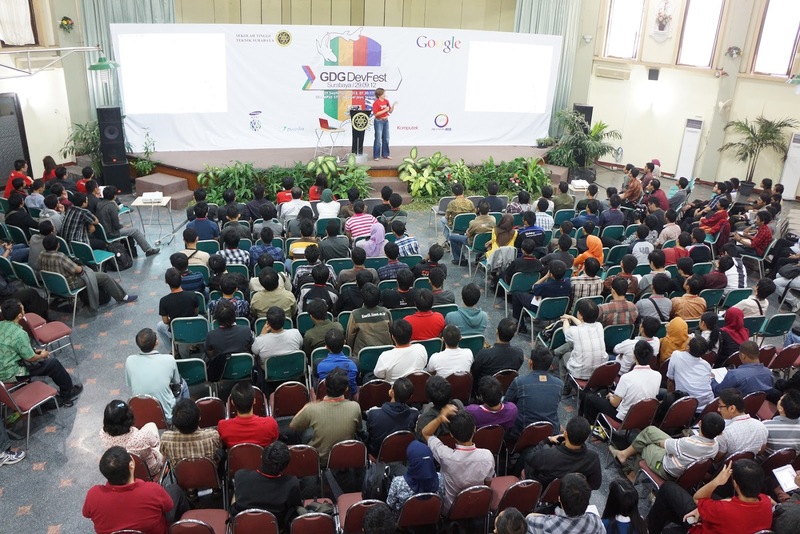 Each GDG DevFest will be inspired by and uniquely tailored to the needs of the developer community that hosts it. While no two events will be exactly alike, each GDG DevFest will at its core be powered by a shared belief that when developers come together to exchange ideas, amazing things can happen. Check out the global DevFest event map and join the GDG community as they celebrate DevFest in your region. Uttam Tripathi is a Program Manger on the Developer Relations Team. Uttam is coordinating this year's GDG DevFest program worldwide and is in charge of developer outreach in India.